Print42 is a log tailing GUI program which optionally echoes log lines to thermal printer tape. Its like a modern thermal printer version of a ticker tape for tailing log files. It features display font size options, search and filtering. 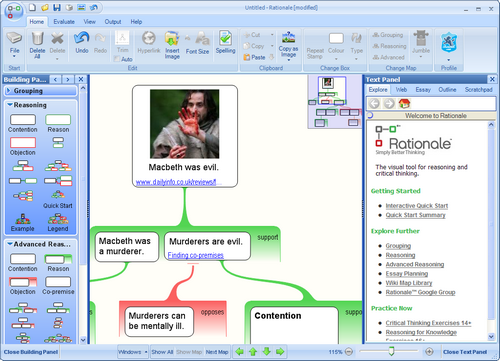 You can also annotate the output with text fragments that you type in - or screenshots that you paste in. Python to HP42S RPN converter website converts Python to RPN (reverse polish notation) programming language. You write code in a high level structured language (which happens to be Python 3 syntax), hit a button and RPN is generated which runs in vintage HP calculators and the Free42 calculator emulator. My 3 day design patterns course can be delivered to you anywhere in Australa and the Asia-Pacific region. I can customise a course and add consulting so that your application architecture is successful. 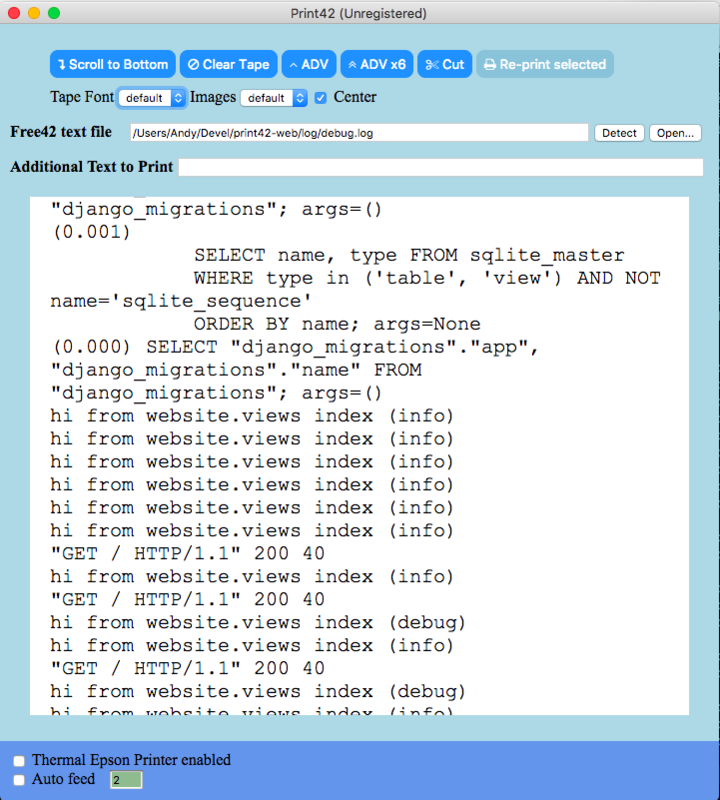 Pynsource is a free, open source UML tool for python. ** New 2019 version just released. 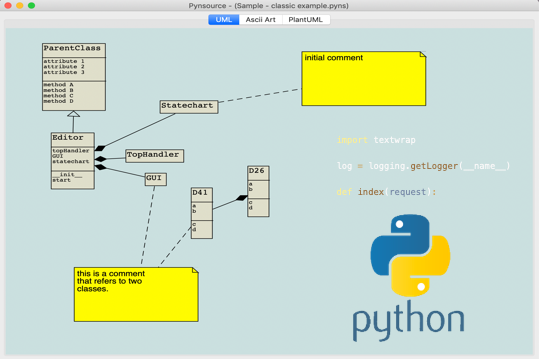 A UML tool for Python, with reverse engineering of Python source code (Python 3 and Python 2), auto-layout, zoom, print. Community Edition free and open source. 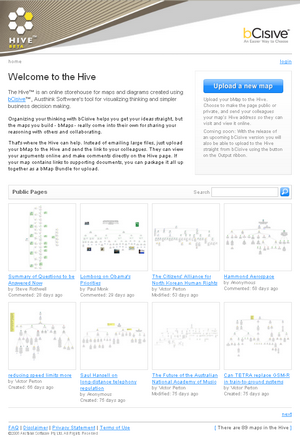 The Hive - a web repository for argument maps.